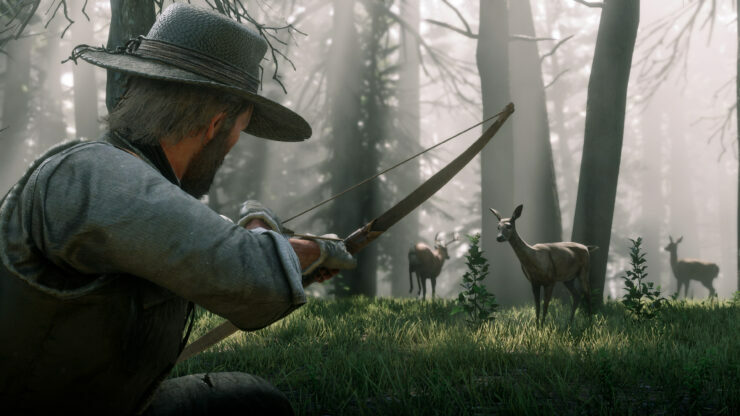 One of the things that set the original Red Dead Redemption apart from other games of its type was that it didn’t just focus on shootouts, saloons, and other Western staples – it also put a heavy emphasis on wilderness exploration and hunting. 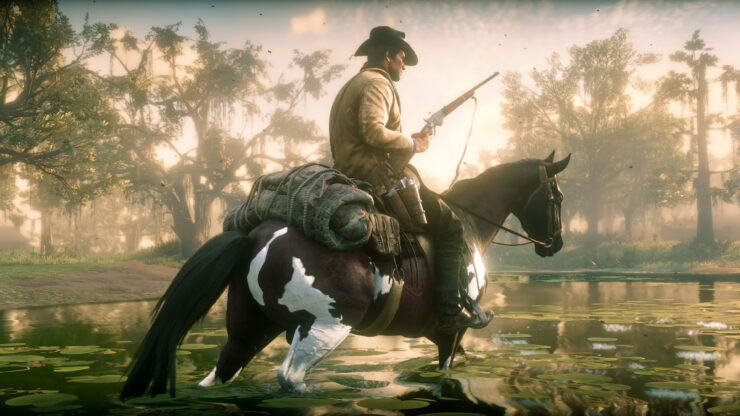 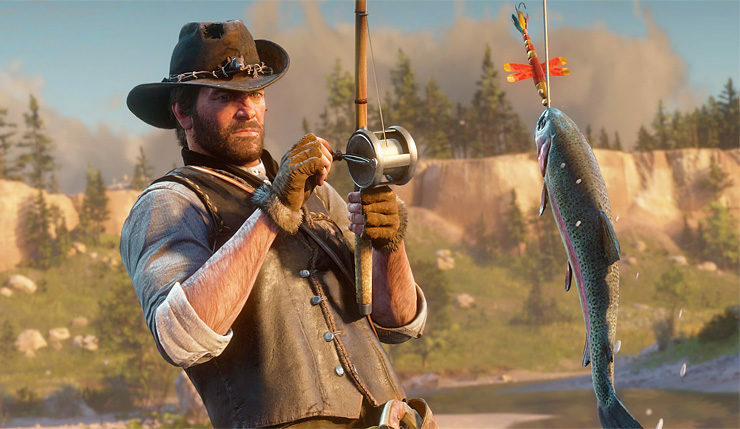 Red Dead Redemption 2 expands on that, with a significantly more complex ecosystem, featuring over 200 animal species to commune with/kill, depending on your disposition. 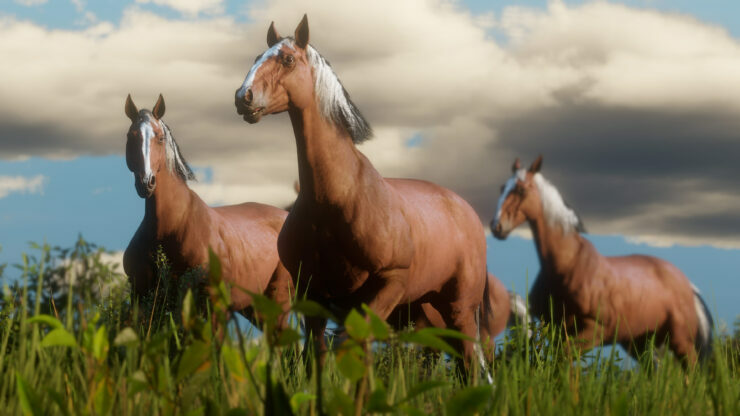 19 horse species also roam the plains, which can be captured and made into a faithful companion. 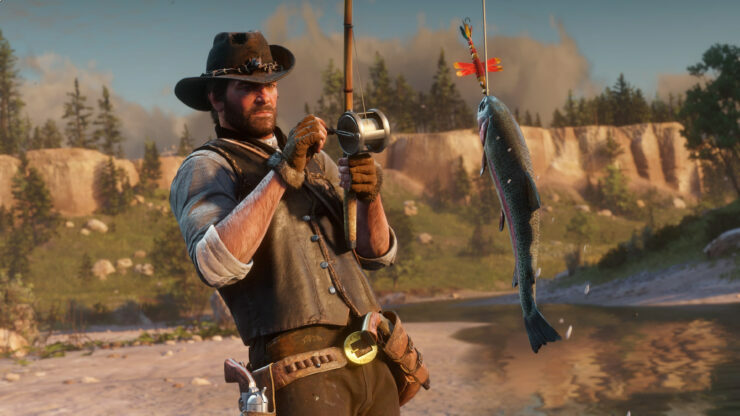 You can check out a batch of new outdoorsy Red Dead Redemption 2 screens below (click on the images for full resolution). 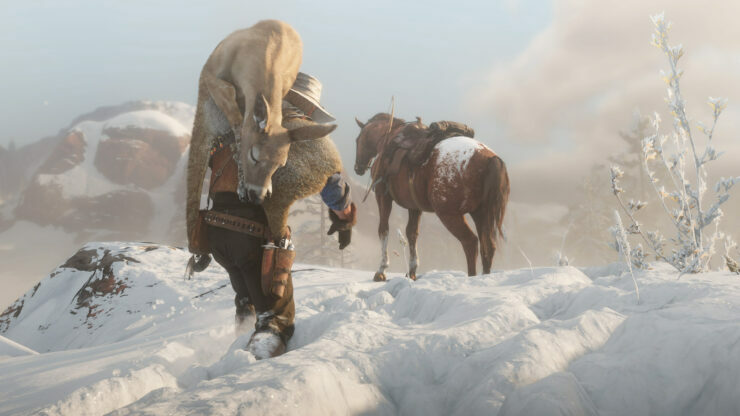 After a successful hunt, you can either skin and butcher the animal on the spot or take it with you whole. 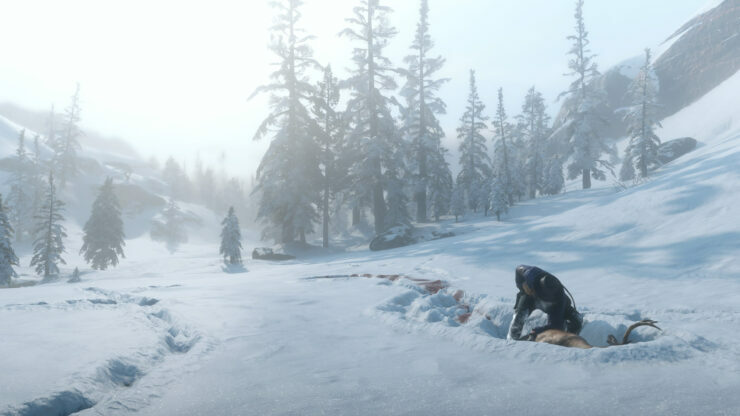 Just try not to leave it too long or the scavengers will come looking. 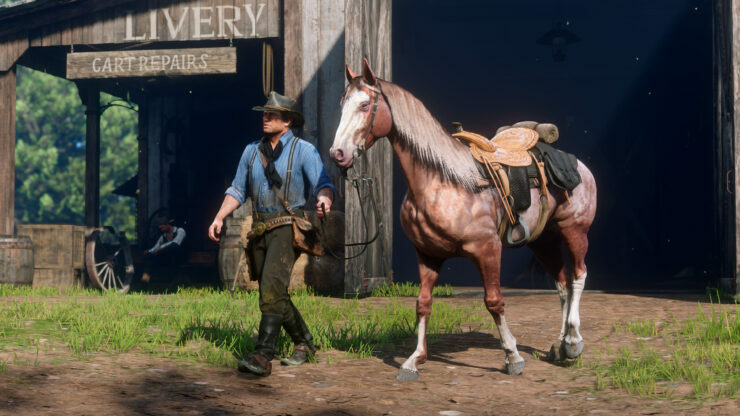 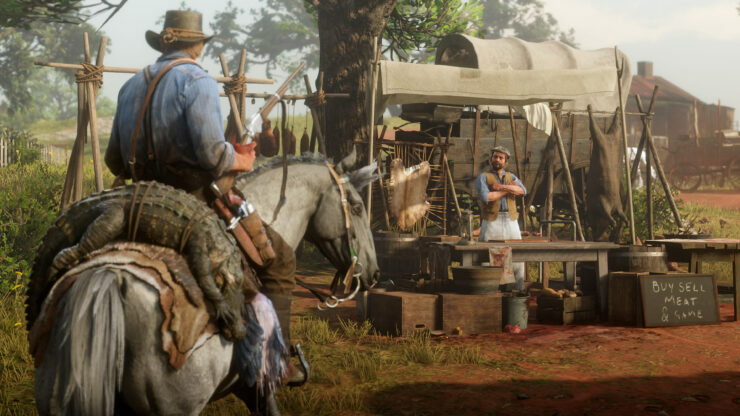 Skins, parts, meat and entire carcasses can all be loaded onto your horse to be sold to the butchers in town, taken back to camp for the stew pot, or crafted into clothing or other items.